Bali is one of the most popular destinations in Indonesia and there is a good reason why. 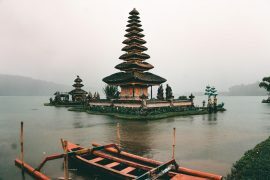 Bali beaches are perfect for sunbathing and surfing, has beautiful hikes, friendly locals on Bali, and super affordable. The touristy side south or quiet northern part, there a place for every kind of traveler. These Bali travel blogs help you plan your trip around this incredible island.